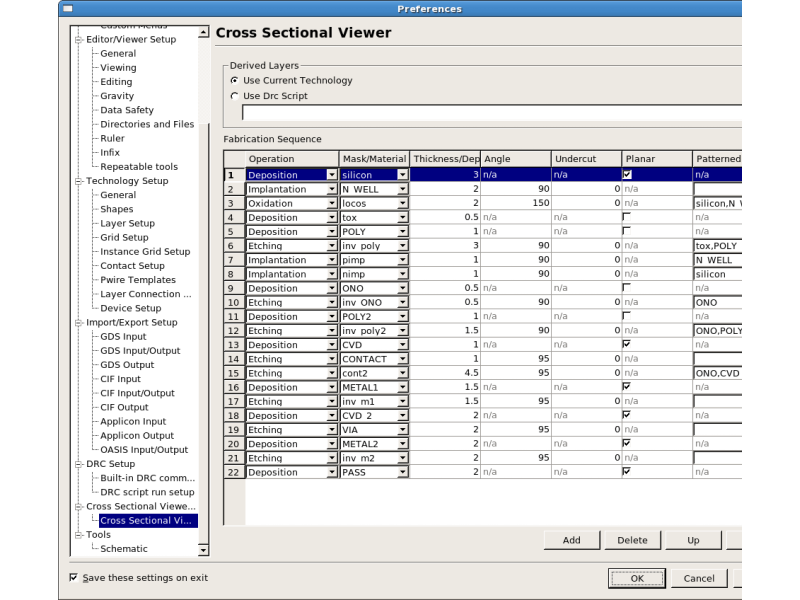 Expert Cross Sectional Viewer can display a cross section between any two points according to the setup of the cross section information. 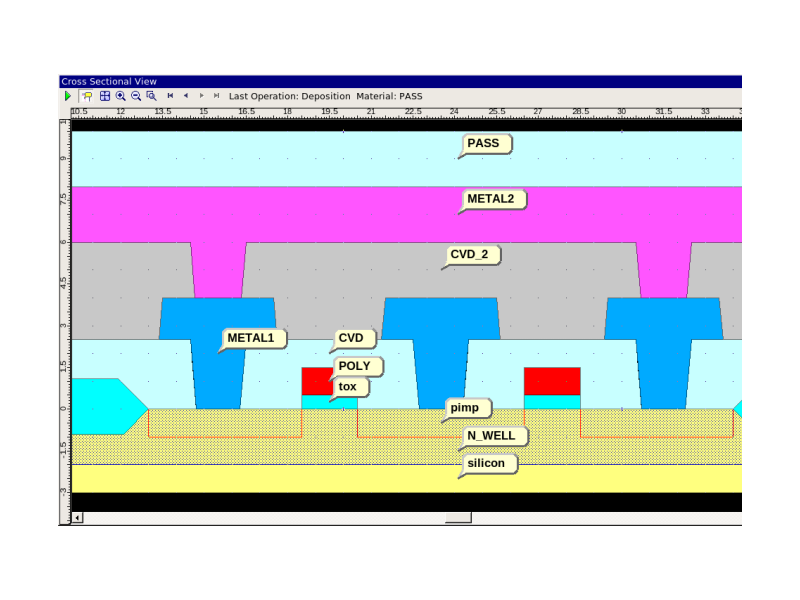 Load integration_ex02.eld, which contains a layout for a NAND2 and a PIP capacitor. The setup for the Cross Sectional Viewer can be accessed by selecting the Expert menu Setup->Setup and then selecting "Cross Sectional Viewer" in the "Preference" window as shown in cs_setup.png . The setup of the cross section information is created using Deposition, Etching, Implantation, Diffusion, and Oxidation according to the cross section of each process. This example is set up for 2poly/2metal process. Selecting the Tools->Cross Sectional Viewer menu will launch two windows: the "Cross Sections" and the "Cross Sectional View". Select the "Cross Sections" window and click the "+" icon. Click on any two points in the "nand2" layout as shown in cs_layout.png . After a little calculation, the "Cross Sectional View" window will show a cross section between the selected two points as shown in cs_view.png . The example data also has a "PIP" cell, which can be used to check a cross section between two poly layers.